California’s Largest Utility Says It Is Bankrupt. Here’s What You Need to Know. Pacific Gas and Electric, California’s largest utility, serving more than 16 million people, filed for bankruptcy protection on Tuesday because it is facing tens of billions of dollars in liability for wildfires. The company’s equipment could be responsible for causing wildfires that killed dozens of people, destroyed thousands of homes and resulted in billions of dollars in damage over the past few years. Here are some big questions about the bankruptcy. What is PG&E’s role in California’s wildfires? 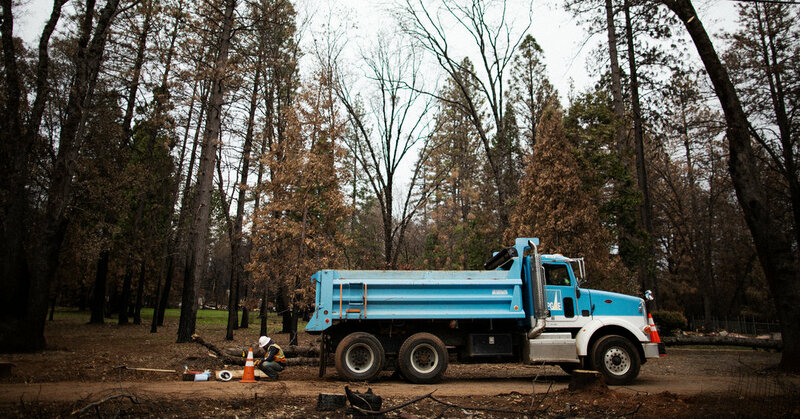 Equipment owned and maintained by the utility sparked at least 17 of the 21 major wildfires that burned through California in 2017, according to the California Department of Forestry and Fire Protection, making the company responsible for some of the damage that resulted. The authorities recently cleared the company of responsibility in an 18th fire in 2017, a giant blaze that killed 22. State officials are still investigating the utility’s role in the fire of 2018. This month, the utility’s chief executive left the company. PG&E has been cited for safety violations in recent months and was ordered to reinspect its entire grid for hazards. How much does the company owe for damage caused by the wildfires? The utility has estimated its fire liability at $30 billion. PG&E’s debt totaled almost $52 billion at the end of September, but that was before the big wildfires started in November. It’s also not the first time PG&E has declared bankruptcy — it did so in 2001 after the state tried to deregulate utilities. Last week, Moody’s and S&P Global Ratings downgraded the utility’s bonds to junk status. What does the utility’s bankruptcy mean for residents in central and Northern California? Customers will still get power, but that electricity might become more expensive as PG&E tries to recoup its losses from the fires. The company has asked the bankruptcy court to allow it to continue reduced-rate programs for low-income residents. Bankruptcy could make it easier for customers to file new claims against the company for damage in more recent fires, but it’s likely to slow down payouts for claims that have already been filed. What does it mean for California’s renewable energy goals? California’s government is trying to increase the use of renewable energy, and PG&E said it wanted to continue its clean energy programs. But the utility’s bankruptcy filing could make that difficult. The utility will be able to renegotiate its energy contracts with suppliers to secure lower rates, and that could hurt renewable energy producers. Some producers supply all of their energy to PG&E, and although business is continuing as usual for now, they’re already feeling the pinch as their credit ratings are downgraded, too.